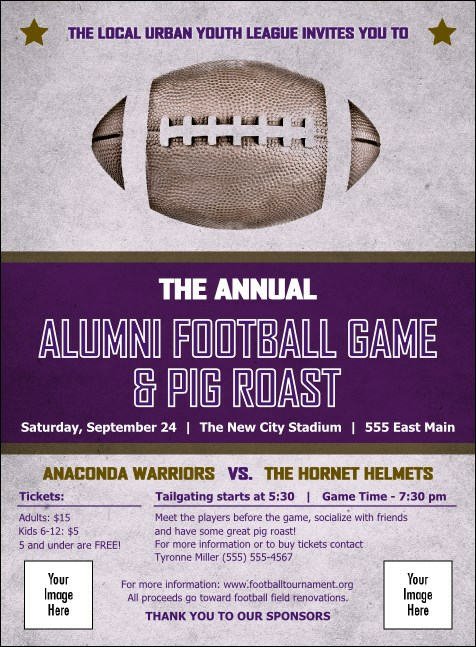 Don’t just get to midfield with your pre-event promotions, get to the end zone when you print Football Purple Invitations and send them out to your guest list in advance. These vivid purple Invitations give you room to include two of your own personal images on a background that has a fun, throwback theme. Stay in bounds with great advertising at TicketPrinting.com.